Everything was good. Villa staff was helpful as well. Everything was perfect. Worth every penny staying! If you are wanting a large villa for a family celebration or group stay, look no further and book here. 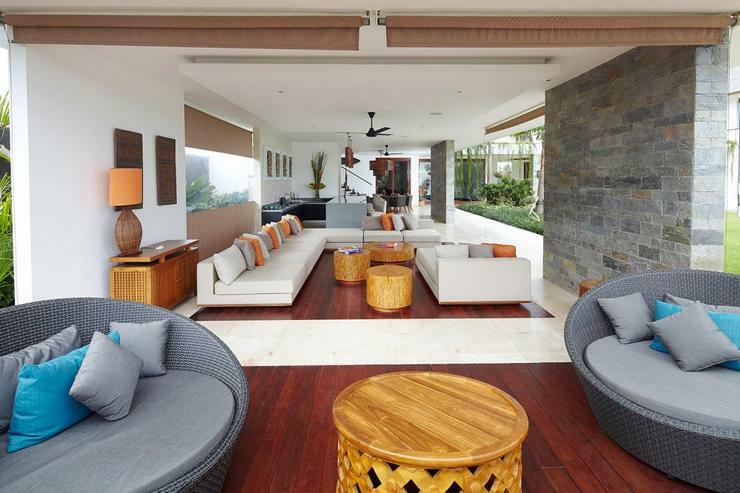 The photos cannot capture just how spacious and beautiful this villa is. We were all overawed when we walked through the door. 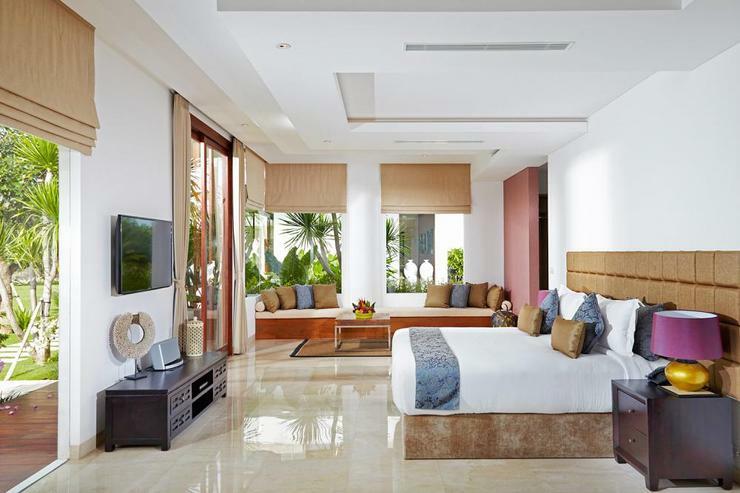 The bedroom suites are so huge with massive bathrooms you have to see to believe. We had 17 people here and we had so much room half the time we never knew where everyone was. The villa was very acommodating allowing us to have 3 single beds in the yoga room which had its own huge bathroom. The grounds are huge we had enough lawn to play games on and much time was spent in the sparkling pool. The villa is immaculately maintained. The staff were amazing and couldn't do enough for us. Thank you to Manager Adi and chefs Wayan and Kadek who prepared fantastic food for us at a very reasonable price. 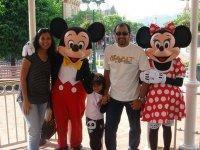 We had my birthday celebration here and they decorated the area for us. We would absolutely love to come back. Thank you Villa Malaathina and staff. 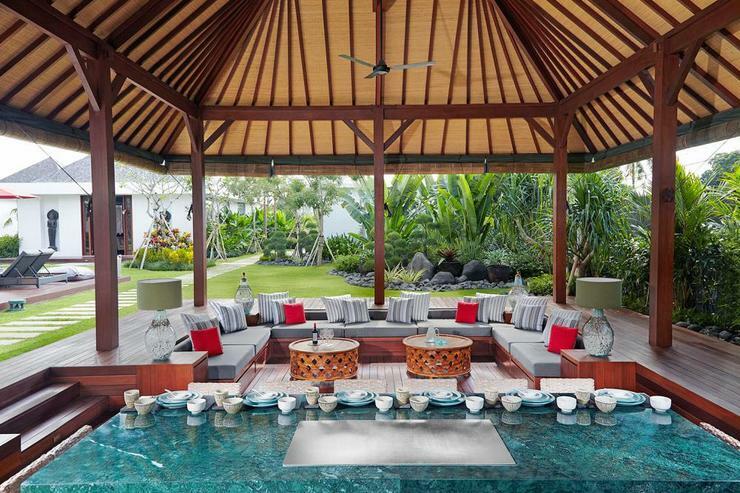 Villa Malaathina is set amongst lush green rice paddie fields near downtown Seminyak, Bali. Malaathina opens fresh horizons for an elite lifestyle on one of the world's most famous tropical islands. 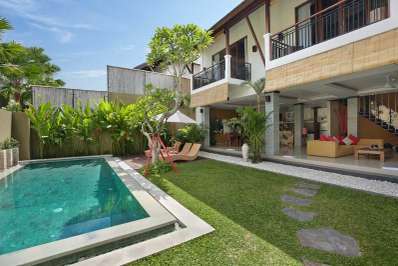 The villa is conveniently located 25 minutes from Denpasar airport and 10 min from the famous restaurants and boutiques and luxury bars of Seminyak. 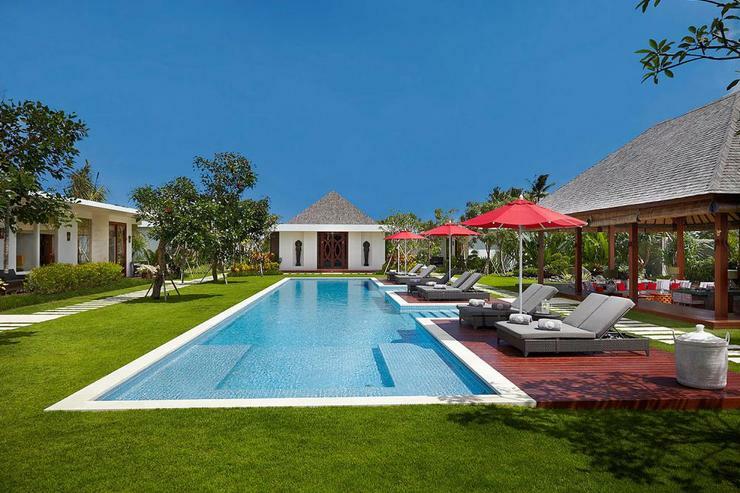 Villa Malaathina is a brand new, privately owned Villa, set amongst lush green rice paddie fields near downtown Seminyak, Bali. Malaathina opens fresh horizons for an elite lifestyle on one of the world’s most famous tropical islands. 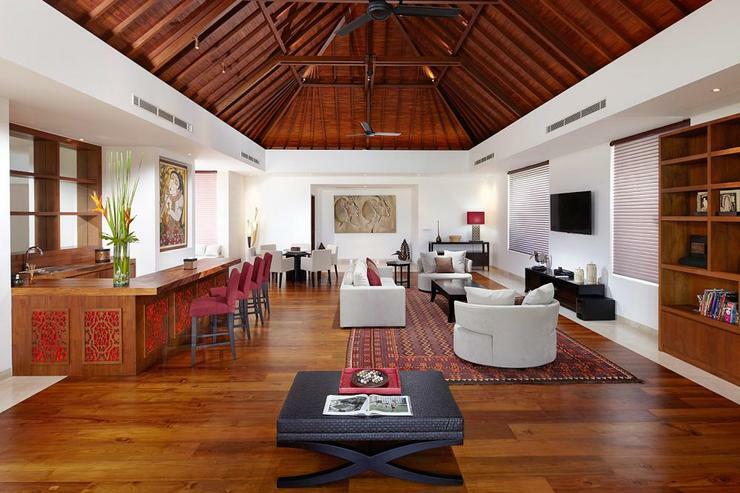 The villa works perfectly for guests who like to socialize while on holiday or remain secluded amongst family and loved ones within the private oasis of their own pool villa. 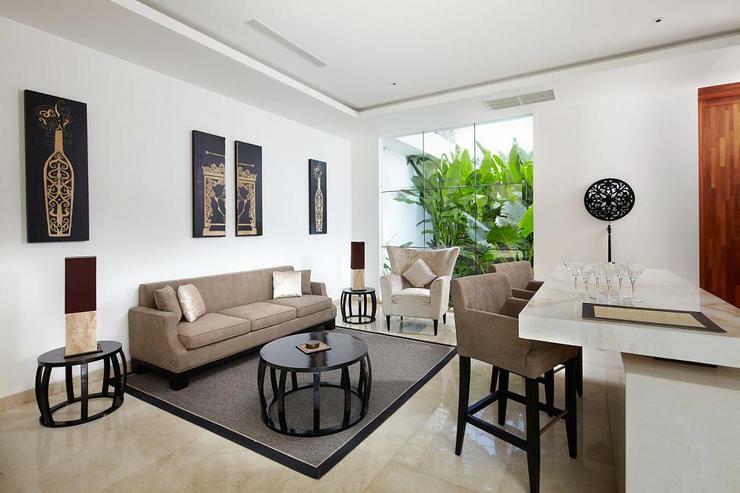 The purity of nature combined with the perfection of a quality modern residence, outstanding service and proximity to the action sets Malaathina apart from Villas in Seminyak. Malaathina also provides the perfect setting for birthdays, weddings, events, reunions and Yoga retreats. 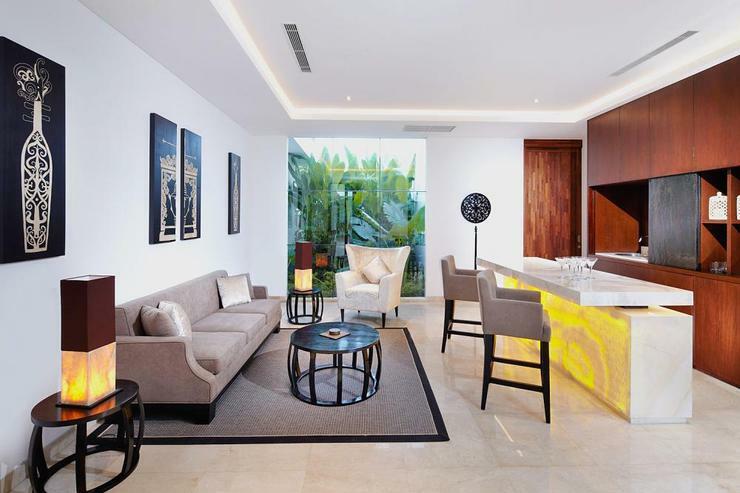 The peaceful setting allows you the option to sample the boutique bar and fine-dining restaurant scene, white sand beaches and other attractions provided by Seminyak, Ubud, Kuta and The Bukhit and then return to a relaxed 'haven' after your day out. 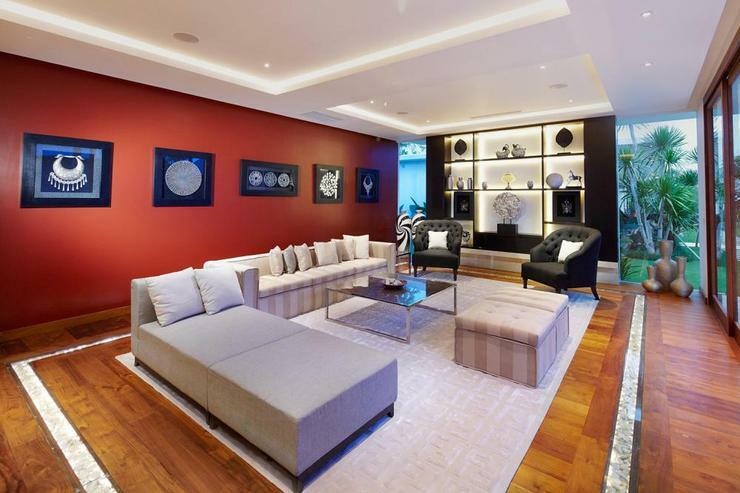 The contemporary-designed estate features seven-bedrooms and occupies over 50 Are (5000sq meters). 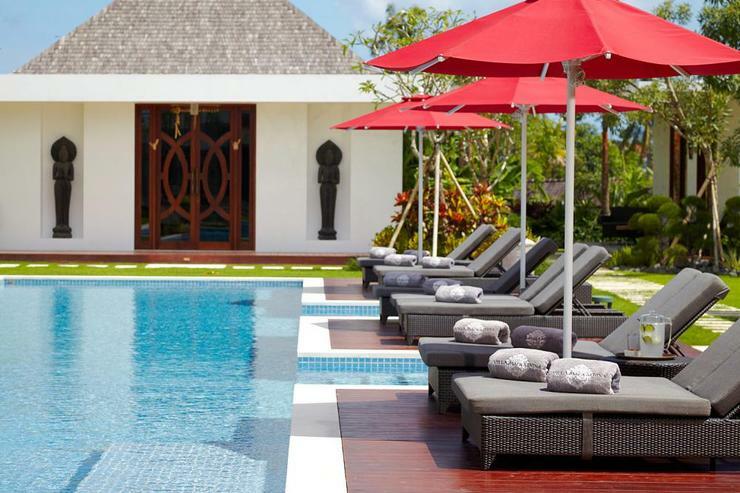 The villa is self-contained with a 25m swimming pool, private coffee shop, teppanyaki-grill dining area, indoor; air conditioned living, dining and bar areas, outdoor; living, dining and bar areas, media room, fully equipped gymnasium, dedicated yoga facility and sunset viewing veranda. Villa Malaathina was designed and built with love to create a private and secure haven to enjoy a holiday or special event with your loved ones. 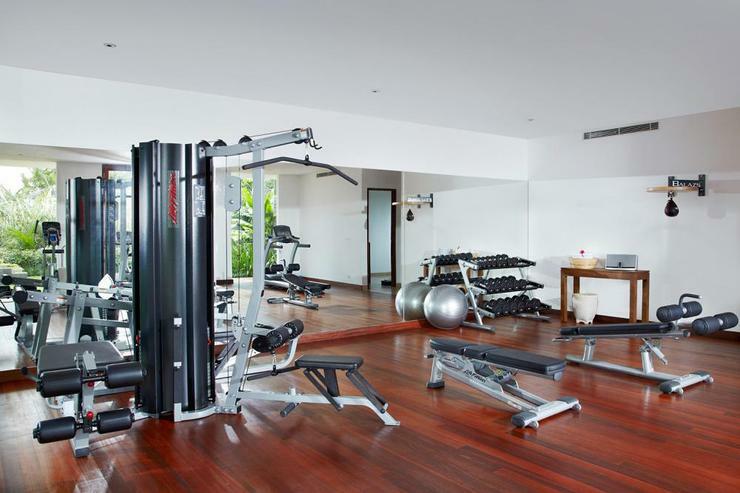 It boasts seven spacious bedrooms, gym, media room, coffee shop, three bars, two dining areas, teppanyaki featured separate room, an Olympic-size Swimming Pool, five living areas, inside and out and a purpose-built Yoga Sala for retreats held throughout the year. 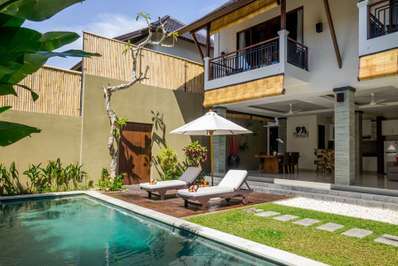 It's proximity to the renowned boutique shops of Seminyak, it’s restaurants and world class beach venues coupled with the fact that the villa is set in a village with the feeling of real Bali, with it’s rice fields, rustic lifestyle and quiet community - sets Malaathina apart from the rest. Villa Malaathina has 5 suites that are enhanced by rich wooden floors and bordered by tasteful marble. 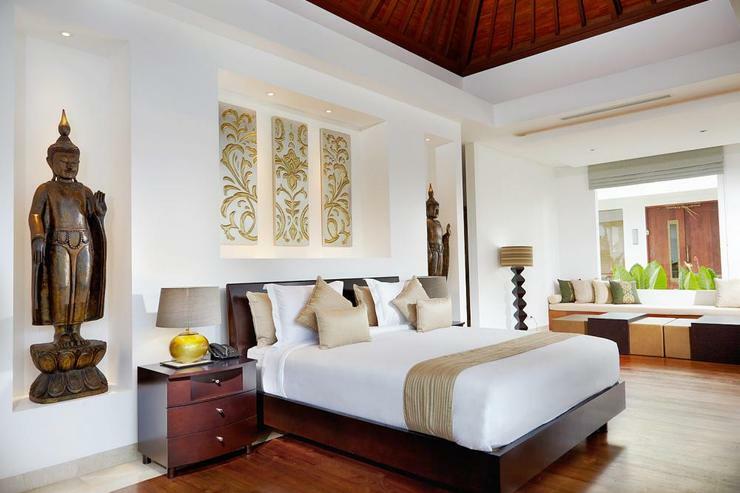 Some suites also have pitch style roofs creating space and the ambience of a tropical villa with a modern twist. All suites are created with a great focus on space. They contain; a living area fully fitted out with large plasma TV, DVD player, Bose sound system, and iPod docking station. 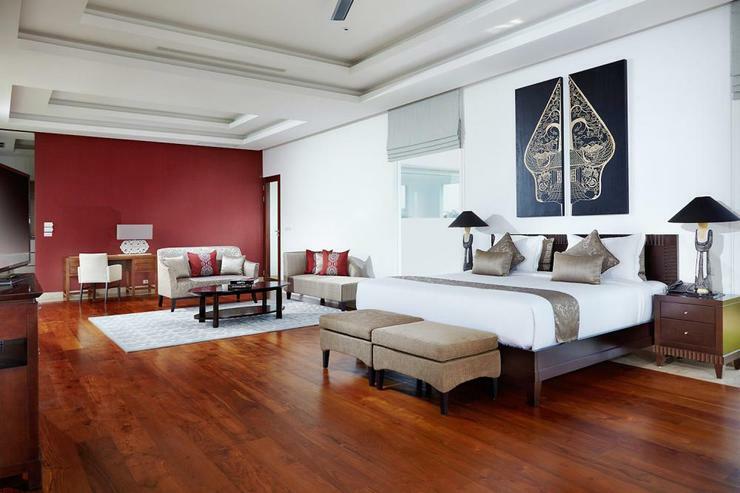 Each King size bed is of the highest quality from King Koil and all linen is white and fresh. Our pillows especially get a great wrap from guests! Some suites can transform into a 'twin share' style rooms allowing friends to share in the same comfort as master bedrooms. Each bathroom is extra spacious and includes twin vanities and an indoor, above ground bathtub. All finishings are of the highest standard. 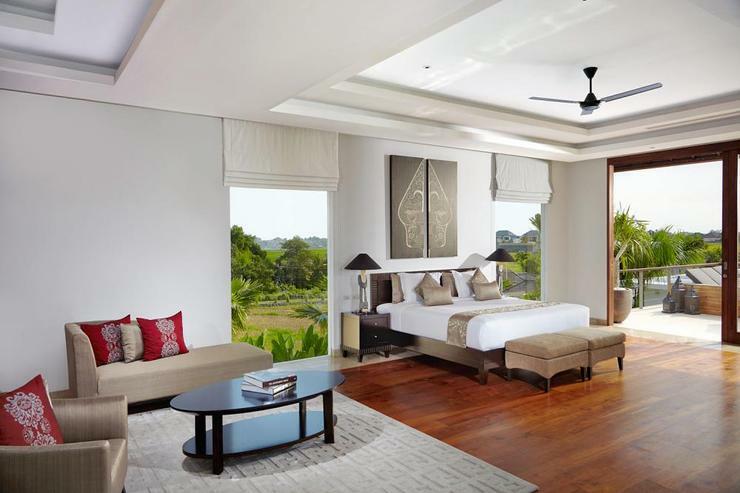 The combined bedroom and living area also features a writing desk with large windows that looks over the lush rice fields of Bali. 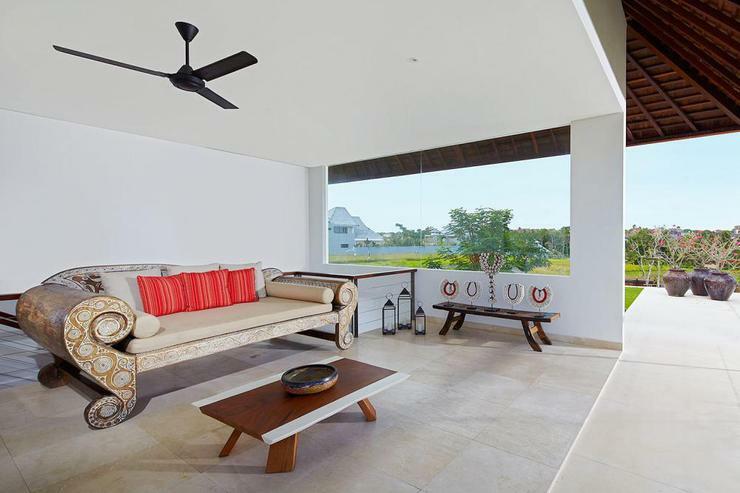 All open to a private terrace furnished with day beds and shaded areas. The two further bedrooms to complete the villa are beautifully designed with simplicity as its focus. 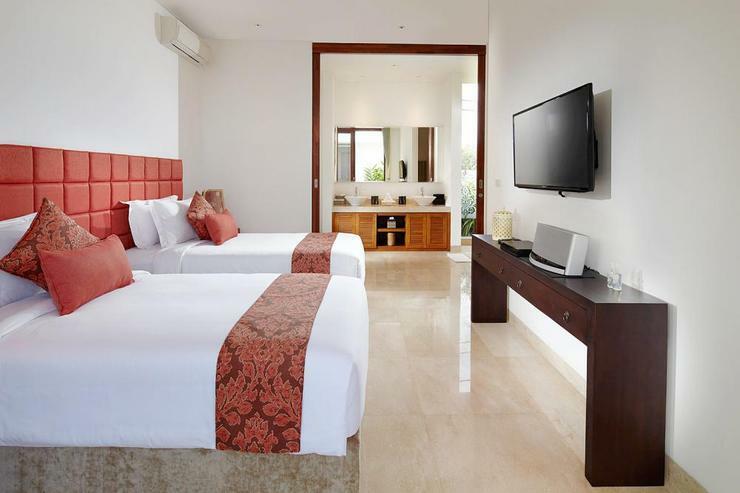 Guests are awarded all the benefits of the other rooms including all media facilities. These rooms are perfect for queen, twin share or children. 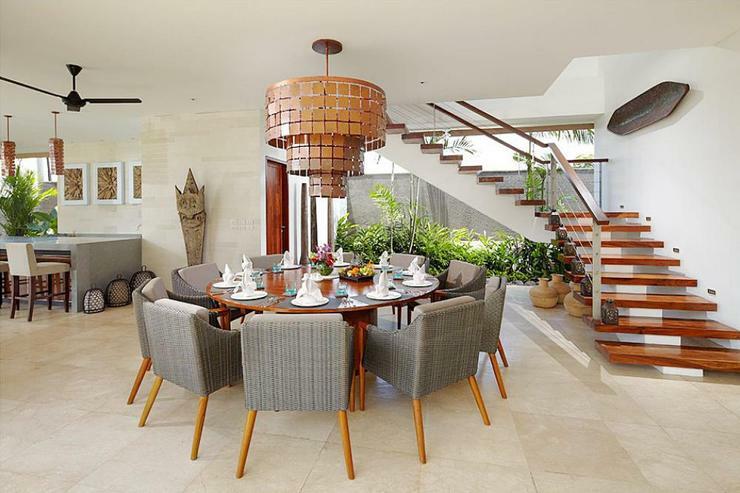 It is rarely available, in Bali, to have a fully air-conditioned wing housing a dining, bar and living area. This is the perfect set up for guests who prefer being in the comfort of air-conditioning throughout their trip. Eating and relaxing in the comfort of a cool room is easy at Malaathina. The aspect from this wing still allows you to see and be connected to your family or group and the 3-meter glass doors allow for easy access to the pool, grassed area and the rest of the villa. The dining room table, inside, seats fourteen and is made from 'petrified wood', which is thousands of years old. The table can be dressed up for a special dinner or lunch and is set with candles and soft lighting every night. 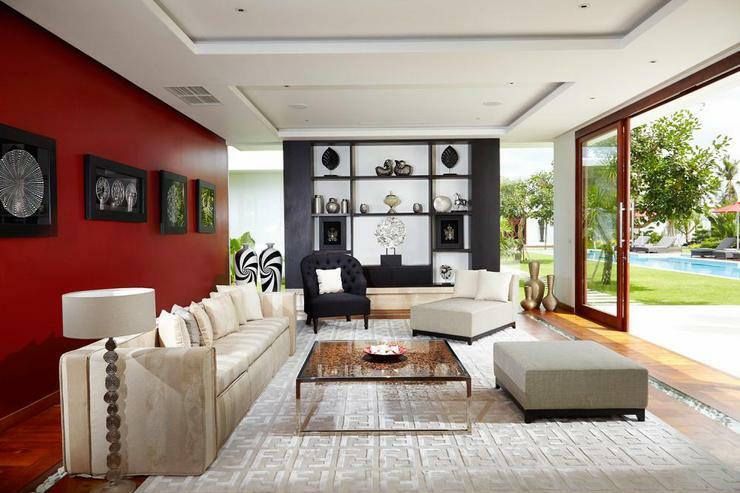 The beautiful modern Indonesian artwork and dramatic maroon feature wall is warm and inviting. Many memories can be made here with the table design allowing for full view of each person seated at the table. 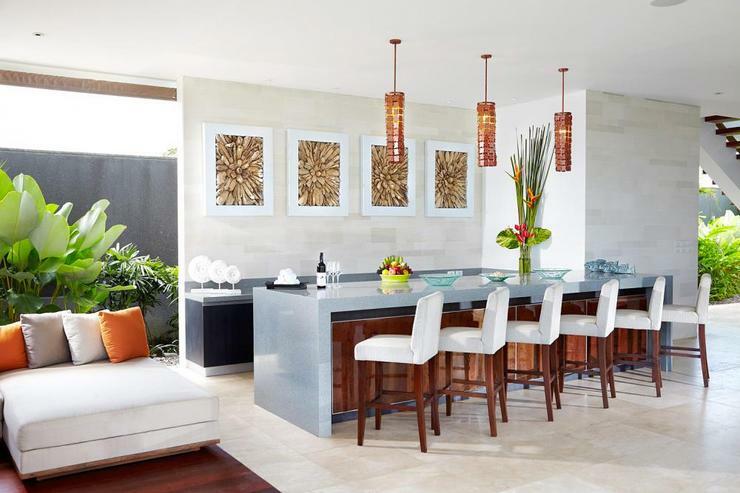 The inside bar is created around a lush 'onyx' bar. The Onyx marble bar is backlit to enhance the natural stones beauty at night. The resulting feeling of the onyx and the furnishings is a cocoon space perfect for pre-dinner drinks and a place to gather after dinner. The staff make a mean cocktail too! The living room is plushy designed with strong elements of silver and black themes. It is the perfect space to relax pre or post dinner and for reading or meeting space during the day. You could be anywhere around the world in this room, think New York or Paris! 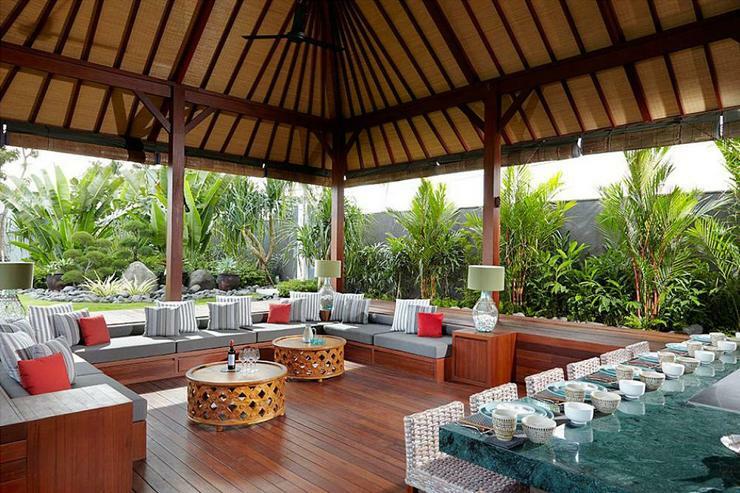 The outside area represents Bali living. All shaded, but open on all sides, the outside living is usually the heart of the villa. Meeting for breakfast at the round table, which allows for the best community feel, lazing around the wide sofa area or sitting up with your laptop at the bar are all day-to-day uses of this space. 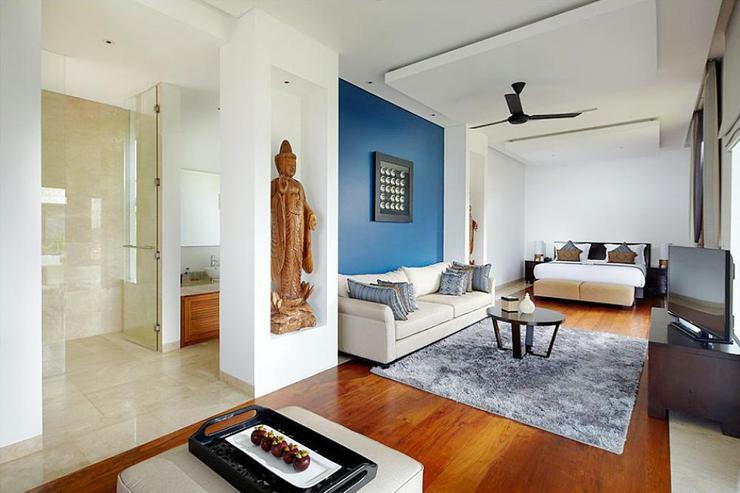 The colours and decorations of this area create a sense of immediate peace. Copper lighting and raw wooden features on walls strengthens the natural beauty of the environment. The whole area is an oasis and connection point. The gym is fully equipped with the latest machines from 'Life Fitness'. 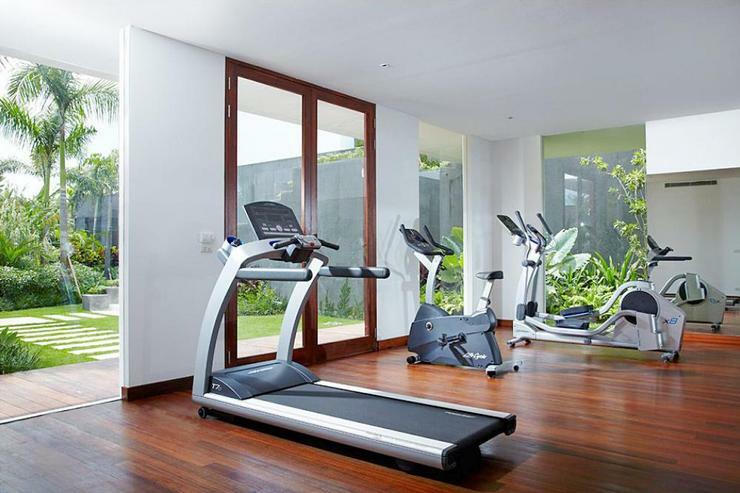 It has a running machine, cross trainer, bicycle, free weights, boxing ball and other weight station machines. The Bose system and IPOD dock are also available to play your motivation music. The gym has it's own bathroom facilities attached. The Yoga room is naturally decorated and exudes serenity and peace. It's a nice place to continue your yoga practice or respite area to enjoy a meditation. It is a multi purpose room complete with mats, bolsters and blankets.